With the amount of polish black I’ve been consuming recently, I’ve fallen a bit behind in the other camps, which is a damn shame. Wouldn’t you know it, other countries play black metal too. Wormlight hail from Umeå, Sweden, and they sound every bit of the good ole yellow and blue. Despite an excusable amount of rawness, the trve-blooded Scandinavians showed enough potential in their first EPs that the success of Wrath of the Wilds shouldn’t come as a surprise. 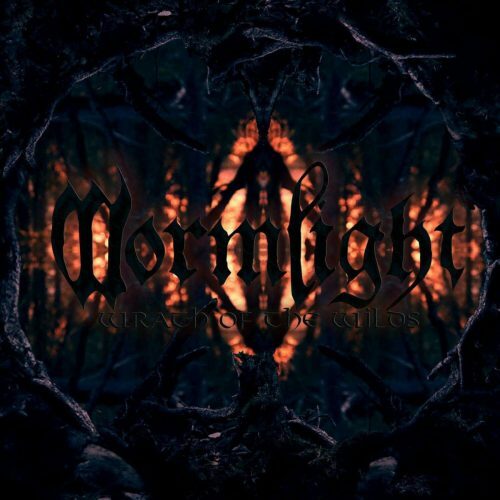 Wormlight leave some room for growth, but their debut is a prime example of how to use death metal to bring out the best in black, without needing to bang a nun, kill a goat, or terrify your listeners. Several elements elevate Wrath of the Wilds above your average black metal album. The riffs, both in quantity and quality. The depth of the vocal performance. The ability of the Swedes to hit a variety of notes. However, none of those things put an outright stamp on the genre. It’s all very capable, but where’s the signature? What makes me think of Wormlight and not of any of the other bajillion-and-a-half bands doing the same thing? Tried and trve black metal will never go out of fashion, but, as with every genre nowadays, finding a way to stand out is tougher than ever. It’s a sword that cuts both ways. Wormlight‘s attempts at genre control and charisma feel genuine. They do what comes natural and don’t try to force it, and perhaps wind up with a stronger record because of it. But Wrath is missing that identity component, that last puzzle piece that demands you listen to this band, not just any band orbiting the same blackened star. Like the rest of Wrath, the production is well-rounded and hits all the right spots, even if it too fails to produce that extra gear. Invictuz’s performance may be the highlight, but the tones are tight, the mix feels natural, and the songs sound balanced no matter the stylistic heading. Further, they bolster Wormlight‘s ability to touch death metal without leaning fully into some raw mix that clashes heavily with the intent of the rest of the music. “Reptilian King” demonstrates this, whereas highlights “Nightmare” and closer “Feast of the Mountain Kin” lean one way or the other. Wormlight run the gamut with ease, suggesting they could head in any direction they choose and still produce a coherent album. As a debut, Wrath of the Wilds is far too strong to be called a simple proof of concept, but Wormlight still have room to grow. However, if they’re going to go anywhere, they first need to pick a destination. Perhaps somewhere scenic? Definitely somewhere unique. Oh, and preferably somewhere with better corpse painting abilities. Wormlight passed the first test with flying colors. But as ever, we demand more. For Wormlight to truly reach their full potential, they’re going to have to give more.